Autumn is a fantastic time to get out in the garden. The bite has gone out of the sun, there is an early morning chill in the air and you know that the garden has survived the extremes of summer. Garden jobs at this time of the year focus on repairs, maintenance and preparing for winter. Pruning - Pruning is one of the first jobs you can do. Remove any dead wood from hedges and larger shrubs. Trim back to get your preferred shape and promote new growth. Smaller shrubs, such as Philodendron “Xanadu” and Pittosporum “Miss Muffet”, may have suffered in the heat. Trim off the burnt leaves and tidy up dead growth and your plants will look like new. Large Tree Lopping - For larger trees, get in a professional tree lopper. They will be able to prune trees for the best shape and to a manageable size, particularly before the winter storms arrive. Feed & Mulch - Now is the perfect time to feed lawns and mulch gardens. Always use quality assured products and use chemicals as directed. An overly enthusiastic application of fertiliser can burn plants and they will struggle to recover during the cooler months. Soil Testing - If you are worried about your soil, do a pH test and add any remedial products if adjustments are required. Transplanting and Repotting - The cooler weather means that garden growth can start to slow down. This makes for good conditions for transplanting and repotting. It is the best time to plant bulbs for spring and winter flowering plants such as Sweet Peas. Turn Off Sprinklers - Reticulation needs to be turned off over winter. Do a full system test and make any repairs or adjustments prior to shutting the system down. A regular test over winter will also keep the system operational and ensure that it is ready to go when the garden needs water in spring. Expiring Chemicals - Other maintenance worth doing at this time of the year is to check all the chemicals in the garden shed or garage and throw out any with expired use by dates and damaged or leaking packaging. Most products, including bags of potting mix, have an expiry date and shouldn’t be used once they have expired. Garden Tools - Check your garden tools and treat any rust, sharpen blades and repair broken handles. Good tools that are working well make a big difference in the garden. Doing a few of these jobs in autumn will make your garden ready for spring and ensure that your plants get off to a flying start. Want to keep a copy of this information for yourself? Download a copy to your computer. Please note that this is intended as general information only. 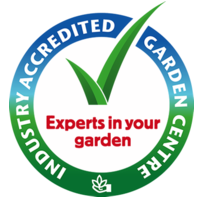 Please ask one of our qualified horticulturists for more specific advice for your situation.